If you follow suggested trail routes, sprains and joint injuries are probably the worst things that can happen. Loose stones or an unwary step can give you a sprain — or worst, a knee injury. Your risks are elevated if you have existing joint problems or conditions. Just watch your step and pay a little more attention to the trail. 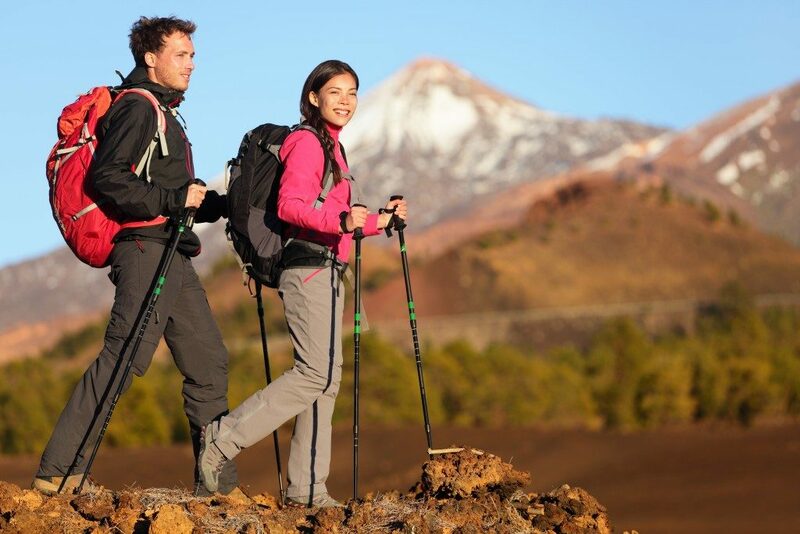 You can also use a knee brace for extra support or use hiking poles to redistribute your weight. Take it easy on the downhill, and be more careful on the descent as walking downhill can put pressure on your knees exceeding five times your body weight. Constant walking — especially when going downhill — can leave you with horrible blisters if you wear the wrong footwear. Your shoes must fit properly, and you need to wear good socks. Catching yourself and controlling your speed on the downhill causes a lot of friction on your toes. It might be a good option to buy a couple of hiking or performance socks if you have delicate feet. If you hike long enough, there will be occasional slips that will lead to cuts and scratches or bumps and bruises. You can carry a first aid kit or just some adhesive bandages and alcohol. Of course, a little more attention to the trail can reduce the chances of anything bad happening. Get your lead hiker to call out hazards so that those behind get a heads-up. Unless you’re sensitive to insect bites or some other allergens, the chances of having a dangerous allergic reaction on a hike are pretty slim. Nevertheless, since emergency services might have trouble getting to you if an emergency does occur, it’s best to be prepared by carrying one or two EpiPens for your whole group. Sun exposure and altitude can have dangerous repercussions. Higher altitudes have higher concentrations of UV radiation, and Utah is already pretty high up. UV concentration increases by around 7 percent for every 1000 feet of elevation. UV rays not only give you painful sunburns, but chronic exposure also raises your chance of developing skin cancer. Wear protective clothing and some eye protection if you’re taking extended hikes in the sun and apply sunscreen every couple of hours. Hiking is a great way to get away from the bustle of the city and enjoy a few hours appreciating the magnificence of nature. Yes, there will be some hardships, but with a bit of preparation and some vigilance, you can make sure your trek will be a safe one.